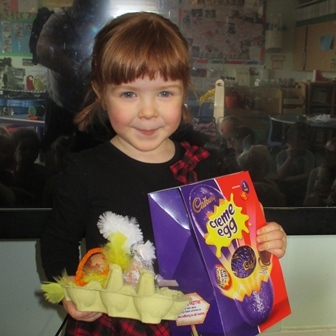 Easter was celebrated across the nurseries with a range of fun filled activities including Easter egg competitions, Easter bonnet decorating, cookery and arts and crafts. 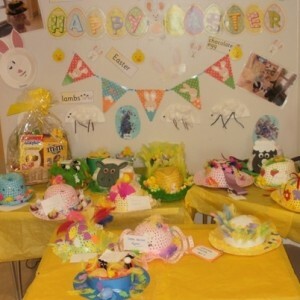 Kids 1st Hexham, Bowesfield and Rake Lane all held Easter bonnet making competitions. 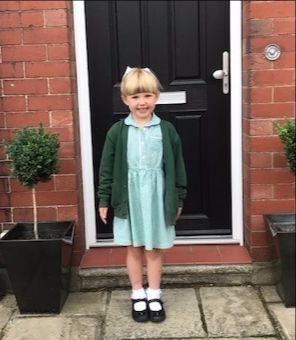 A beautiful display was made in the entrance at Kids 1st Rake Lane to showcase all of the Easter bonnets entered into their competition. 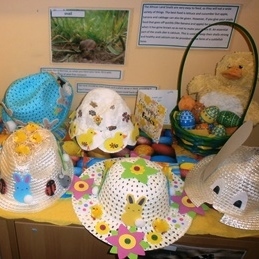 The Seahorse room children at Kids 1st Hexham worked with parents at home creating amazing Easter bonnets which they then wore in an Easter bonnet parade around the garden. 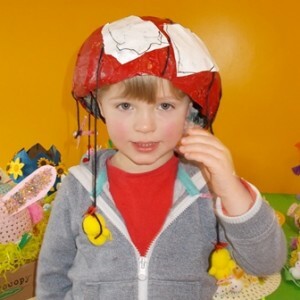 Ted won the Easter bonnet competition at Kids 1st Bowesfield. He made the design himself and the judges loved it because it was unique and all his own work. 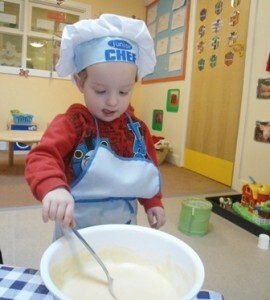 Easter cooking was enjoyed at Kids 1st Wynyard and Durham. 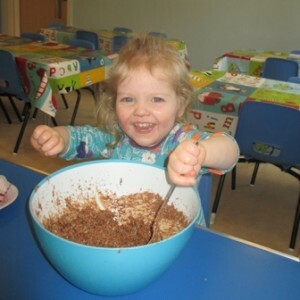 The children at Kids 1st Durham had fun making chocolate nests to take home for Easter, while at Wynyard the Seahorse 1 room enjoyed baking Easter cakes. 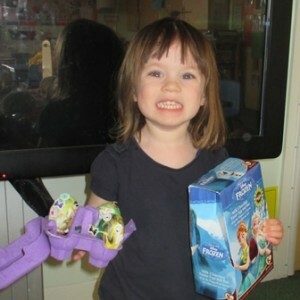 Staff at Kids 1st Quorum were impressed with all of the wonderful entries submitted for their Easter egg decorating completion. Holly took first place, with Camille coming second and Jessica third. Easter baking at Kids 1st Wynyard.